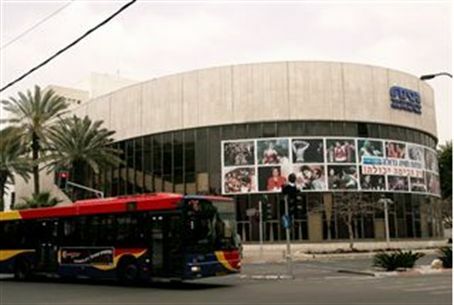 The managers of the Cameri and Habima theaters assure MKs that they are willing to perform for all Israelis, including those in Judea and Samaria. The heads of the Cameri and Habima theaters appeared in the Knesset's Education Committee on Thursday to discuss an actors' boycott of the new cultural center in the Samaria city of Ariel. They assured MKs that their shows would be performed anywhere in Israel, including in Judea and Samaria. “As a national theater company, Habima will perform for all residents of Israel. Residents of Ariel are residents of Israel and Habima will stage shows for them,” said Habima co-manager Odelia Friedman. None of the “minority” of actors who wish to boycott Ariel were scheduled to appear in the three shows, he said. Ron Nachman, the mayor of Ariel, was pleased by the results of the Education Committee's discussion, but said the government should take additional action to ensure that Israelis are not targeted by boycotts from within their own country. “No state on earth” can live with internal boycotts, he said. Nachman said that boycotts are a bad tactic whether used by the political Right or Left. However, “those with an itchy finger on the 'boycott' trigger are always on the left of the political spectrum,” he said. More than 30 artists signed a declaration saying they would not appear in the new theater in Ariel, which is scheduled to open in November, because it is located east of the 1949 armistice line in Samaria, on land that the Palestinian Authority claims as part of a future PA state. Five later withdrew from the boycott. MKs Ronit Tirosh (Kadima), Yariv Levin (Likud), and Michael Ben-Ari (National Union) plan to sponsor a bill that would cancel government funding for theaters that employ actors who boycott Israelis.